If you ever towed a trailer, you probably know that such experience is truly unique. Fully loaded or not, trailers are more dangerous than you can even imagine. Just consider how much inertia you can get from a heavy trail after braking. The problem becomes even bigger if you don’t tow with a truck or SUV, but take some smaller and lighter vehicle. Both experienced and non-experienced drivers probably don’t realize that this could be very risky. Add some non-ideal driving conditions, and you have a big chance to get in trouble. Trailer involving accidents are very frequent all around the world. Usually, they are not very dangerous, and all ends with some goods damage. Still, death outcome is more frequent than you think. Non-experienced drivers usually panic in a critical situation, but those with more experience can make a mistake as well. So, how to prevent all these potentially dangerous traffic situations? There answer is simple. 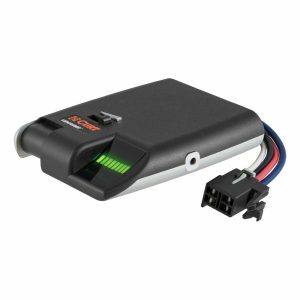 Electric brake controllers should become an integral part of your towing. This device makes your trail braking along with your vehicle, and the result is significantly shorter halt distance. These devices/modules are pretty simple to use. Also, pretty much all of them feature an affordable price if you consider how much potential damage could be prevented. 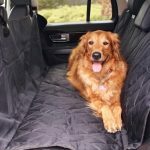 You can find them in most car stores, but the easiest way is probably to check Amazon, where you can find a variety of products in a different price range. The two most common types of electric brake controllers are time-delayed and proportional. More experienced drivers would probably choose time delayed brake controllers. These devices are highly reliable and work on a very simple principle. The driver chooses the exact amount of pressure on trailer brakes. Still, you need to configure parameters before the drive, which could be a little bit complicated for those who are not so experienced and don’t know how their trail acts when fully loaded, in different weather conditions, etc. Considering all these issues, we won’t recommend this type of brake controller if you don’t have enough experience. Still, there are positive things about these brake controllers. First of all, they are cheaper. Installation is pretty simple, and you can mount the device in any position. Proportional brake controllers work on an opposite principle. There is no such thing as predetermined configuration. This device works on sense. Step on the brake pedal, and same pressure will be applied to the trailer brakes. It couldn’t be simpler. The main advantage of this type of brake controller is that you’ll always have synchronized braking. This is perfect for emergency braking, as well as for non-experienced drivers, who could panic in some dangerous situation. Still, these are more expensive and more complicated to install. Both types have pros and cons, but the overall impression is that proportional controllers are better for beginners, while time delayed are perfect for experienced drivers, as well as for those who don’t tow so frequently. Still, the choice is on you. Just don’t forget to check compatibility and determine whether the specific model could be installed on your vehicle or trailer. A cheap product doesn’t necessarily mean bad quality. Moreover, this brake controller has many things to offer. It is a classic time delayed controller that can operate with trailers with up to three axles and 6 electric brakes. Installation is pretty simple. There are no such things as internal moving parts or leveling. 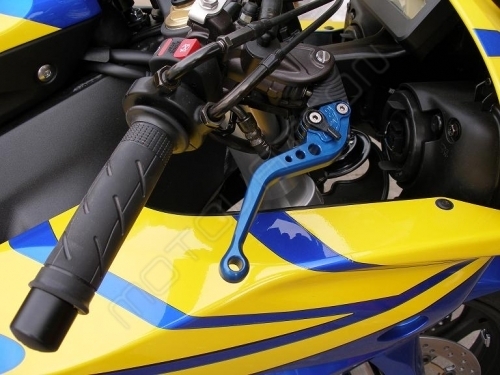 Additionally, ramp time and power are highly adjustable. With its compact dimensions and extremely light weight, it could be mounted pretty much everywhere. Don’t be fooled by its funny look; it is a highly capable unit. The manual control feature allows you to activate brake lights, while LED indicator regulates how much power is applied. Hopkins is a renowned manufacturer that offers various kinds of car-related products. Brake controllers belong to its strongest fields. This product is a classic proportional controller. It is a highly versatile unit that operates equally well with both electric and hydraulic brakes. Advanced proportional technology provides perfectly synchronized braking, so expect nothing less but safe and smooth stops, as short-proof protection for up to 8 trailer brakes. This device comes with a transparent LCD screen, while controls couldn’t be simpler. The installation process is also very simple, and you can mount controller’s components pretty much wherever you want. If you are looking for a cheap and reliable brake controller, which is also amazingly easy to use, this is the right choice for you. It may have a minimalistic design, but it actually has all the features you need. 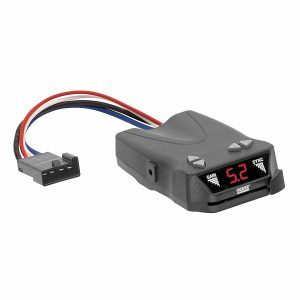 It operates with 12V negative ground systems and comes with a small digital display, simple sync setting, and brake overload controls. Installation is so easy that you can even mount it without any leveling. On the other side, you get up to 8 braking and internal circuit protection. Despite the low price, overall quality is on a very high level. Just check reviews, where 85% users have given a 5-star rating. 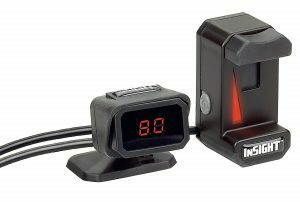 The Draw-Tite 20191 I-Stop IQ Electronic Brake Control is a brake controller characterized by an amazing value for the price. No matter if your trailer has one, two, or three axles, this model will fit. It is a self-leveling device, so you don’t have to bother yourself. Also, a sensor technology works excellent, so don’t expect anything less than a perfect synchronization of your vehicle and trailer. Additionally, the electrical connector can be removed quickly, so you can store your device in a safe place if you don’t use your trail so often. Finally, this manufacturer provides a lifetime warranty for both parts and performance for this product. 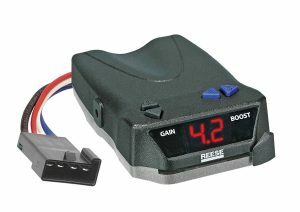 There are many reasons why Reese Towpower 8508211 Brake Control would be our first pick. First of all, it has 1-4 axle capacity, which makes it a perfect fit for both heavy and light trailers. Just like other products from this manufacturer, it keeps the minimalistic design. A large LCD screen is highly transparent, and it has very simple controls. Installation is easy as well. When it comes to performances, this controller offers perfectly synchronized braking without any need for adjustment. 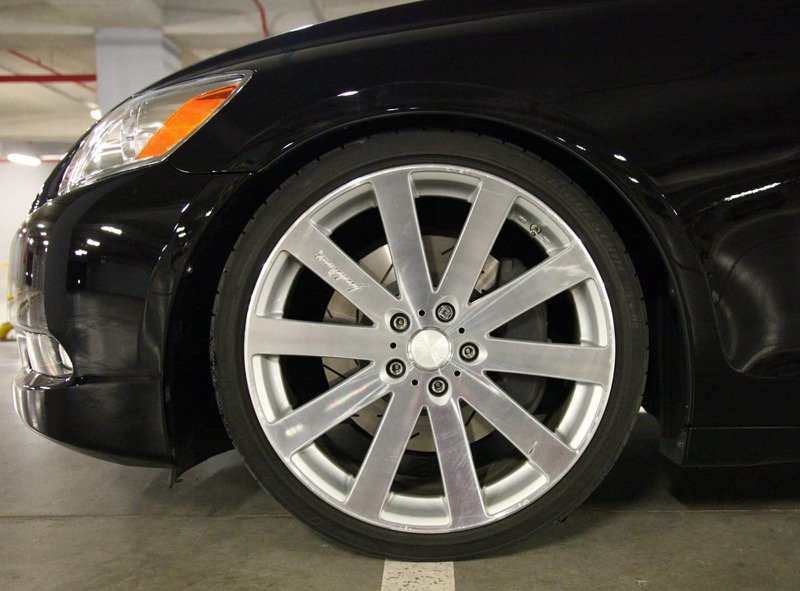 Still, if ideally leveled, it saves your brakes and extends the time for pads replacement. Also, there is a boost option, which provides more initial braking at the onset of braking. This is a great benefit when you are fully loaded. All in all, this is an excellent product for a highly affordable price. 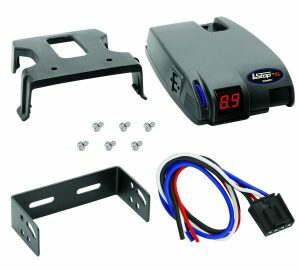 The brake controllers vary in their built, functionality, and price. Before making the final choice, review the compatibility of your car and decide on the desired performance. Hope that this article was helpful for you!